Fun to make by yourself or a good way to gather your friends in the kitchen while you finish your last minute dinner party details. The size of your party will dictate how many skewers you make so your shopping list will vary. Easy enough! On a wooden skewer start with a tomato,add a folded basil leaf, one Boccontini and repeat and Finish with a tomato. Drizzle with Balsamic before serving. 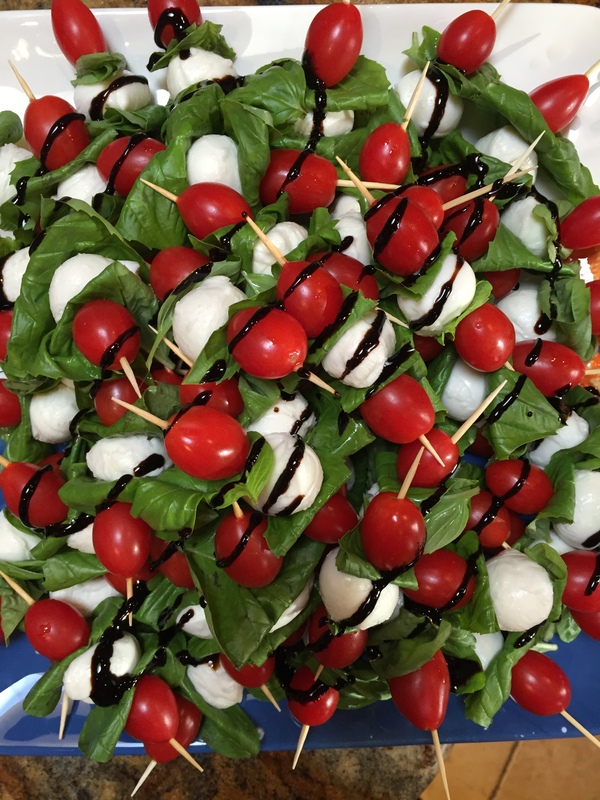 This entry was posted on Saturday, August 15th, 2015 at 5:27 am	and tagged with boccontini, cherry tomatoes, fresh tomatoes, Hor'derves, light raw snack, mozzarella balls, party snack, snack, tomato skewer, veggie skewer and posted in Category. You can follow any responses to this entry through the RSS 2.0 feed.